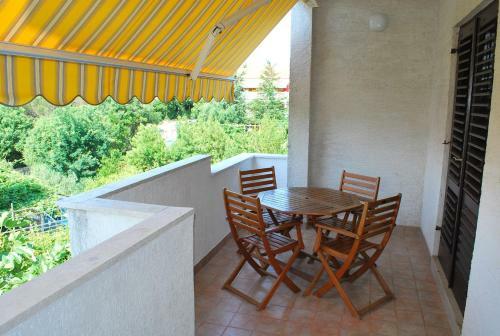 Situated 300 metres from the centre of the city of Krk, Apartments Daria is a self-catering accommodation surrounded with a dense back yard that presents free-to-use grill amenities. 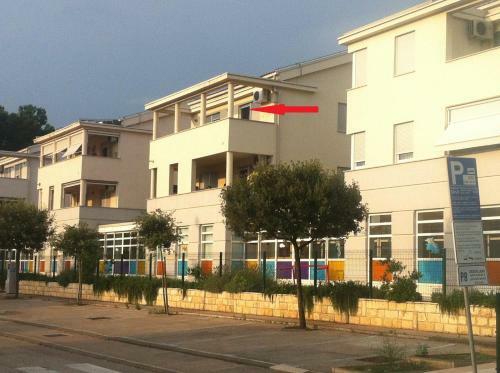 The property is 500 metres from Punta di Galetto Beach and 600 metres from Krk Citadel. All apartments come with a seating area, satellite tv, a fitted kitchen with a dining area and a coffee machine, as well as a toilet equipped with a shower and a hairdryer. Each apartment comes with either a balcony, an outdoors terrace or a private patio. Some units overlook the sea. A grocery shop, a coffee bar bar and a dining establishment are all located within a 200-metre radius. Adventures in the surrounding area include beach volleyball, tennis and mini golf. Sightseeing in the old town of Krk offers several venues of interest and most of them are within a 500-metre distance. 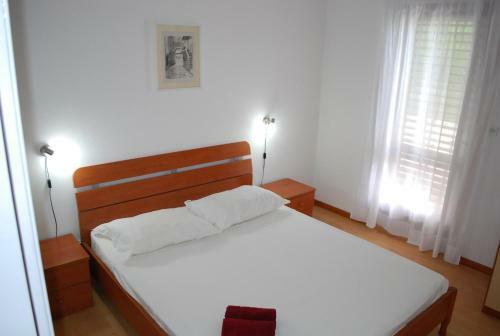 The Main Bus Station is 1.5 kilometers away and Rijeka Flight terminal is 23 km from Daria Apartments. The property offers free car parking. Apartments Daria ~0.1 km, Krk Situated 300 metres from the centre of the city of Krk, Apartments Daria is a self-catering accommodation surrounded with a dense back yard that presents free-to-use grill amenities. 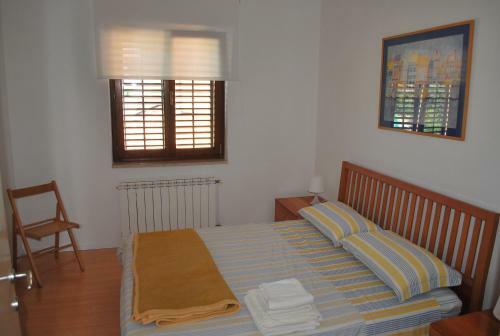 The property is 500 metres from Punta di Galetto Beach and 600 metres from Krk Citadel. All apartments come with a seating area, satellite tv, a fitted kitchen with a dining area and a coffee machine, as well as a toilet equipped with a shower and a hairdryer. Each apartment comes with either a balcony, an outdoors terrace or a private patio. Kornic ( ~ 2.8 km ): 47+ accommodation units. Punat ( ~ 4.2 km ): 150+ apartments, 7+ villas, 2+ hotels. Skrbcici ( ~ 7 km ): 5+ apartments, , 2+ hotels. Garica ( ~ 7 km ): 1+ villas/holiday houses. Pinezici ( ~ 8 km ): 21+ apartments. Vrbnik ( ~ 8.8 km ): 169+ accommodation units. Beach Portapisana, Krk ~ 0,3 km from Apartments Daria Gravel beach: ideal for families, recommended for young people, awarded with blue flag, with restaurant, with caffe bar, equipped with showers. Excellent choice of watersports. 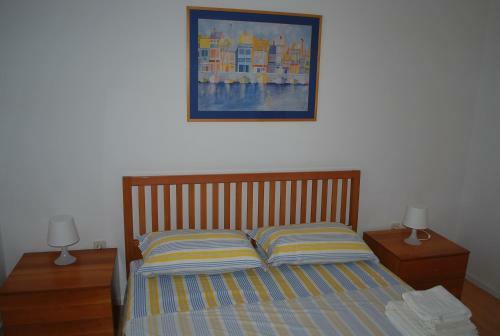 Beach Hotel Koralj, Krk ~ 0,7 km from Apartments Daria Sandy beach: ideal for families, with restaurant, with caffe bar. Excellent choice of watersports. Beach Koralj ~ 0,8 km from Apartments Daria Gravel beach: ideal for families, awarded with blue flag, with restaurant, with caffe bar. Excellent choice of watersports. Beach Porporela, Krk ~ 0,9 km from Apartments Daria Sandy beach: ideal for families, awarded with blue flag, with restaurant, with caffe bar, equipped with showers. Excellent choice of watersports. Beach Politin, Krk ~ 1,2 km from Apartments Daria Gravel beach: ideal for families, recommended for young people, awarded with blue flag, with restaurant, with caffe bar, equipped with showers. Excellent choice of watersports. Restaurant Karaka, Krk Island ~ 1,7 km from Apartments Daria Address: Senjska bb, 51500. Cuisine: Croatian cuisine. Restaurant Harley, Krk ~ 1 km from Apartments Daria Address: Ulica Lukobran, Krk. Cuisine: Croatian cuisine. 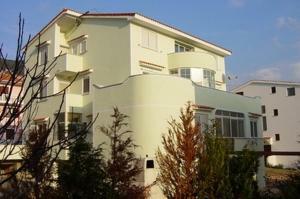 Restaurant Rivica, Krk Island ~ 0,7 km from Apartments Daria Cuisine: Mediterranean cuisine. Restaurant Taverna Andreja, Krk ~ 0,7 km from Apartments Daria Address: Vela placa 6, Krk. Cuisine: Croatian cuisine. Restaurant Konoba "Bacchus", Krk Guest reviews: 9/10 ~ 0,7 km from Apartments Daria Address: J.J. Strossmayera 3, Krk. Cuisine: Croatian cuisine.